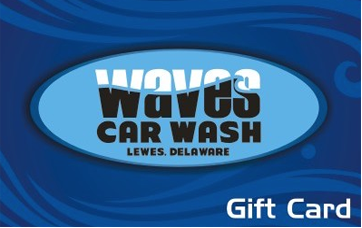 For the best (and greenest) car wash in Sussex County, come to Waves Car Wash! Sign up for a flexible, monthly car washing package, or just drop by for a quick exterior wash and never leave your car! 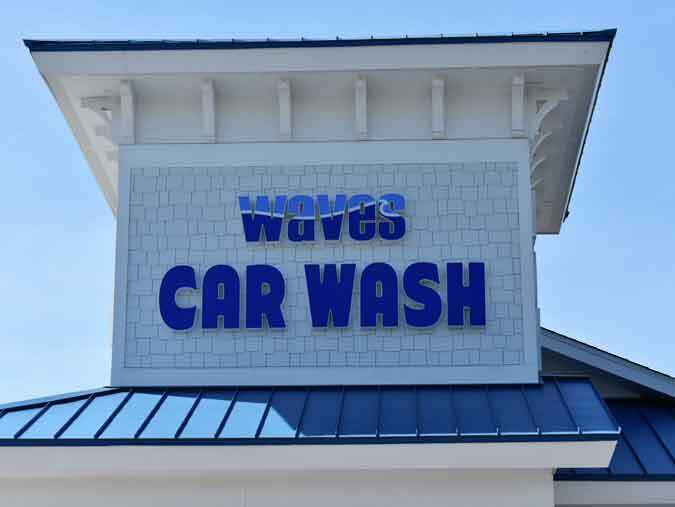 Waves Car Wash provides the ultimate wash using 90% reclaimed water, from our full-service car wash down to our most basic package. Become a member for even more benefits, including less wait time and unlimited washes! Find us next to Walgreens and Capriotti’s, across from Weis Supermarket on Savannah Road. Stop by our eco-friendly car wash today for affordable prices, friendly service, and a sparkling clean car that looks like new. Last year we signed up both of our cars for the monthly unlimited washes. They do a very good job both inside and outside. Today the prewash (before going through the machines) was the best ever. Lots of attention to bug spots and the undercarriage. Nice car wash. They hand dry outside for you and shine the tires. We bought the unlimited wash package for a monthly fee, with that membership you can actually wash your car more than once a day if you want too. I owned a business and now retired. I always look at any I am dealing with. This is one of the best run business I have had the pleasure to deal with. Smart and friendly people; very efficient; a good experience. I even take my dog “Tuffy.” He knows a treat is coming. I had my car washed (did full service) here several days ago and it still looks great! I have to say, this was one of the best car wash experiences I have ever had – all the workers were extremely nice and crazy diligent – they care about there work. Waves Car Wash takes automated car washes to a new level! The staff are very pleasant and help you choice the wash you want. The in-car wash experience is cool and fun. You stay in the car while the wash tube conveyor belt pulls your car through the stages of the wash. Interesting sights and sounds kids (and adults) enjoy. Then the interior clean out is quick, thorough, and done with a smile. In and out in 10 minutes on a busy day. Great experience. Will be back! After about a year of not washing my car, I took my car through just the tunnel. I couldn’t believe how clean it came out – it looked like a new car. I’ve been back quite a few times since then and each time I am more than pleased with how my car looks. I get the Big Kahuna each time and it absolutely worth…and they apply Rain X – one of the only products in this world that I fully endorse! The owner is a super nice guy and you can tell he cares about his business and his customers. 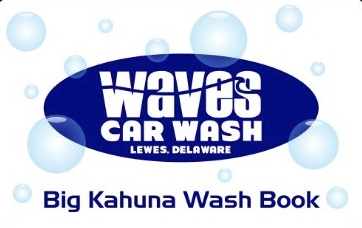 I’ll continue to make it a point to get to Waves Car Wash every time I am down in Lewes. Waves Car Wash © 2018. All Rights Reserved.